by Samir Johna, M.D., F.A.C.S. From the Department of Surgery, Kaiser Permanente, Fontana and Loma Linda University School of Medicine, Loma Linda, California. Ho, Assyrian! The rod of my anger, and the staff in their hand is my indignation (Isaiah 10:5). Their arrows are sharp and their bows are bent, their horses’ hoofs shall be counted like flint, and their wheels like a whirlwind (Isaiah 5:28).1 Those were the Assyrians as pictured in the Old Scripture! With their having ruled the entire Middle East for many centuries Assyrians had excelled not only in war but also in peace. Many of their discoveries and inventions are still alive today, speaking for one of the greatest civilizations ever known. And the pride of Assyria shall cease (Zechariah 10:11).1 And so the Assyrian star dwindled down, and their glory perished as they lost their empire in 612 BC. † Thou art fortunate, thou who believest in me, not having seen me. For it is written of me that those who see me do not believe in me, but those who do not see me, believe in me. As to your asking me to come to you, the work for which I was sent is about to be accomplished and I am to return to my father who sent me. After I have ascended to him I shall send you one of my disciples who will cure your sickness and will convert you and those about you to life eternal. The city shall be blessed and no enemy shall prevail against it. The unique geographical location of the Assyrians enabled them to come into contact with several great cultures: the Greeks in the north, the Romans in the west, the Egyptians in the south, and the Persians in the East. The Assyrians played a very active part in the early diffusion of Christianity throughout Asia Minor, Egypt, and Mesopotamia. As a result of presence of two separate Old Testament canons in Hebrew and Greek, a cause of bitter argument and controversy, the Assyrian scholars applied themselves diligently to the study of Greek so that they can read at first hand the Septuagint version of the Old Testament completed in Alexandria in 132 BC by a group of 70 Alexandrian Jews who had forgotten their Aramaic vernacular. The Assyrians were the first who translated the Old Testament form the Hebrew into their own vernacular, the Syriac, in what has ever since been known as the Peshitta version. The Assyrians became familiar with the Greek language and by it Greek science, Greek medicine and Greek literature; this is an important factor in the role they played in history of medicine. The establishment of the great school of Edessa. The interest of the early Assyrian church fathers in the Greek version of the Scriptures and the resulting contacts with the Greek scholars created an atmosphere of study and investigation in Edessa and Nisibis. When the Romans gave up Nisibis to the Persians, a large number of the rich and learned Assyrians migrated to Edessa. They established the school of Edessa in 363-364 AD. In this school theology was the major subject, but medicine was growing as a study, and rapidly coming to the fore in the attention it attracted.4 Affiliated with the school, a large hospital was built for clinical instruction. The Catholic Church, through the council of Ephesus in 431, had deposed Nestorios, the patriarch of the Assyrian church, because of what was considered a heretical doctrine consisting in his denial of the complete mergence of the divine and human natures in the person of Christ. He asserted that Mary, the mother of Christ, should not be called the mother of God. His followers, the Assyrians, were since called the Nestorians. This Christian sect played a profound role in the history of medicine. Because of their continuous teachings at the school of Edessa, Emperor Zeno, at the instigation of Bishop Cyrus of Alexandria, abolished the school.5 The teachers and disciples were convicted of heresy, and expelled from Edessa. Their school was turned into a new orthodox church given the significant name of Our Lady, Mother of God! The outcome was tremendous. The Nestorian heresy was one of the great centrifugal forces caused by theological hatred. It pushed Christianity across mountains and deserts as far as China, and thus became a very important link between East and west.6 The zealots became missionaries, and many of the teachers turned into a more profitable intellectual activity, the study and practice of medicine. They made rapid progress in the science, developed new methods in the treatment of disease along pharmacological lines, to the point that their therapy was judged superior to that of the Greek and the Hindus. Furthermore these physicians adopted the scientific methods of other peoples and modified them by their own discoveries. They elaborated medical laws and recorded the work that had been developed. During several centuries the school and Bimaristan of Jundi Shapor held first place in the world of medicine and science. It was from among their students that Persia, Iraq, and Syria recruited their physicians. Pupils from all nationalities gathered in Jundi Shapor for instruction. Furthermore the Islamic conquerors did not hesitate to call into service the physicians trained in this school. The school of Jundi Shapor graduated a long line of distinguished physicians.3,7 The family of Bakhtishu and the Meshus, to mention only two, who moved to Baghdad, to Damascus, and to Cairo where they organized famous hospitals modeled after their hospital in Jundi Shapor. The monograph of Dr. Ahmad Issa Bey on the hospitals of the Islamic period is the most surprising and illuminating exposition and proof that Arabian medicine made full use of the lore handed down through the Nestorians.7,10 This is a detailed account of these hospitals, their buildings, and their teaching clinics with inpatient and outpatient departments, providing different services, medical, surgical, Orthopedics and Ophthalmology, all copies of the famous Nestorian hospital in Jundi Shapor. George M. Lamsa. Holy Bible (Peshitta). HarperSanFrancisco, San Francisco, 1933. Eusebius. The Legend of Abgar. Historia Ecclesiastica, Dorset Press, New York, 1965. I: Chapt.13. Allen Whipple. Role of The Nestorians As The Connecting Link Between Greek and Arabic Medicine. Ann of Medical History-New Series: 2: 313-323, 1936. Garrison, FH. History of Medicine. W.B. Sanders, Philadelphia, 1929. pp.127. Assemani GS. Bibliotheca Orientalis. Sacrae Congregatio de Propaganda Fide, Rome, 1719-28. Sarton, GE. Introduction to The History of Science. Williams and Wilkins, Baltimore, 1927. I: 477. Whipple, AO. The Role of the Nestorians and Moslems in The History of Medicine. Princeton University Press, New Jersey, 1967. pp. 14-19. 8.Elgood, C. A Medical History of Persia and The Eastern Caliphate. Cambridge University Press, Cambridge, 1951. pp. 34-57. 9.Ibn-al-Qifti. Tarikh al-Hukama. Maktaba al-Muthana, Baghdad, 1969. pp. 184. 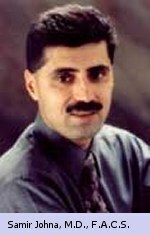 10.Ahmed Issa Bey. Histories des Bimaristans a l’Epoque Islamique. Cairo, 1928. 11.Booko, J (Rev.). Assyria The Forgotten Nation in Prophecy. Michigan, 1993. pp. 73-81.